Like most things I cook, I didn’t have a recipe for this per se. I just threw in flavors that I enjoyed in the estimated quantities below and I have to tell you, my apartment now smells fantastic. The cinnamon, cumin and coconut are just wafting through the air and even though I was making this for tomorrow’s lunch, I was so tempted to just eat it all right then and there while standing at the stove. To go with it, I cooked up some couscous (the best 5 minute food there is) with chicken stock and dried rosemary. Josh is out of town, so I more or less engineered this recipe to feed just myself. It’d be very easy to increase the recipe by however many people you’d like to feed. 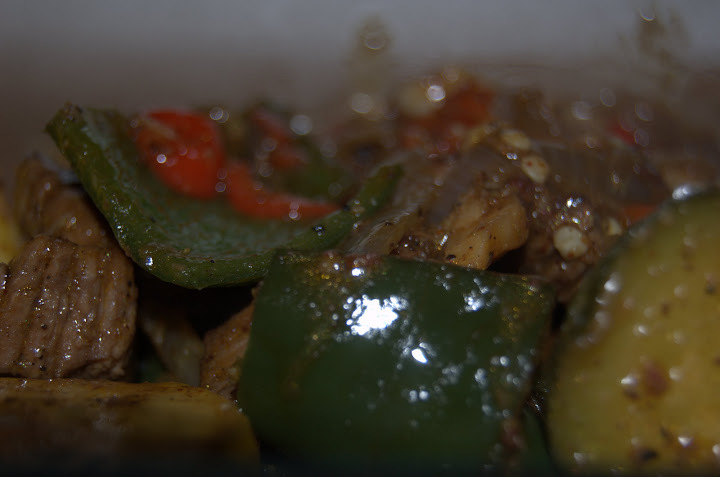 This entry was posted in General Musings and tagged beef, curry, Indian, Spices, spicy on July 29, 2009 by Lauren.